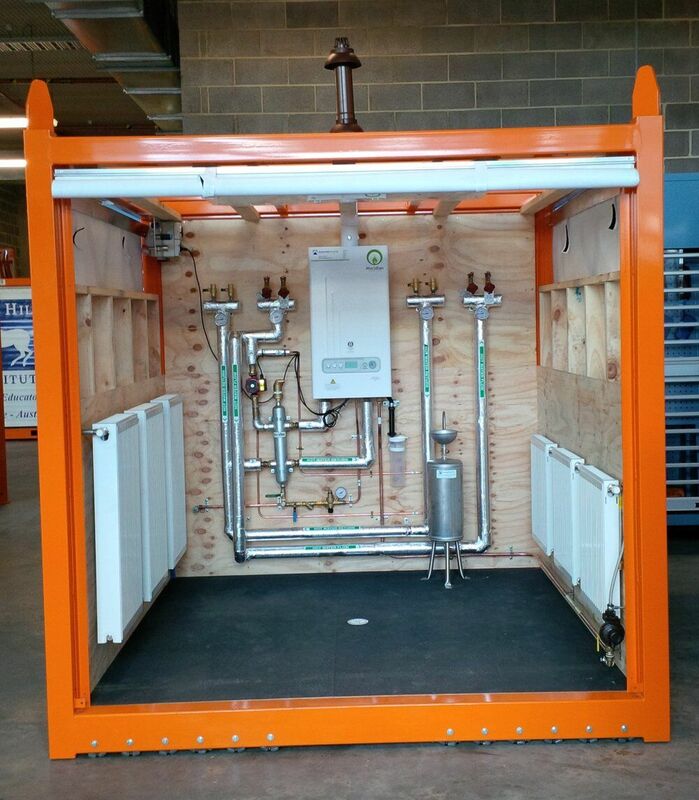 Automatic Heating recently had the opportunity to assist Box Hill TAFE with the provision of a training pod for use in the Refrigeration and Climate Control Centre of Excellence at Box Hill Institute. The Refrigeration and Climate Control Centre of Excellence (RCCC) is established within the new Integrated Technology Hub (ITH). The ultra-modern $41M Integrated Technology Hub at Box Hill Institute is a First of its Kind in Australia and provides collaborative and innovative learning spaces for the air conditioning, refrigeration, mechanical, plumbing and electrical technologies industries. The Centre delivers best practice, industry specific training, education and support for the air conditioning, refrigeration and mechanical services sector. 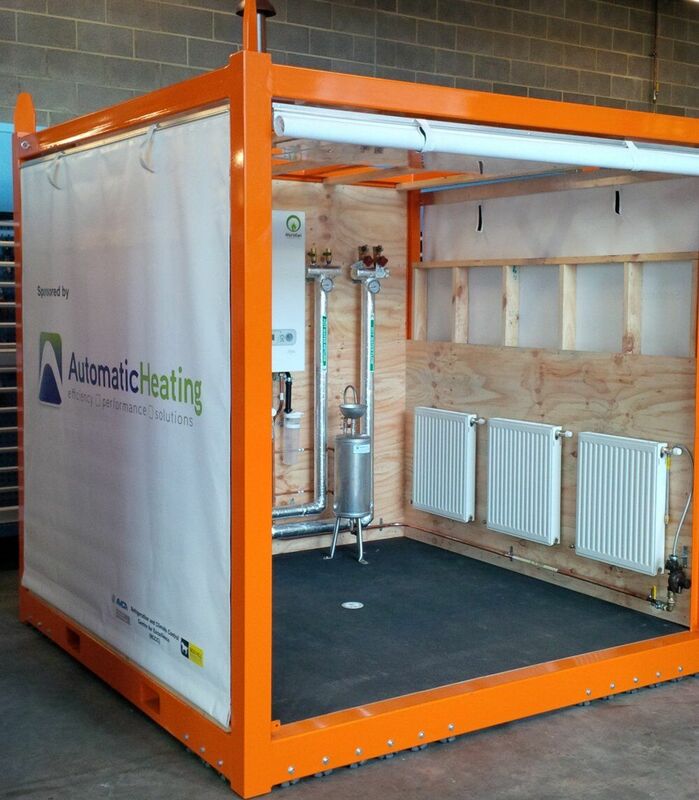 Equipment donated and fitted to the pod by Automatic Heating in support of this program included Elite Hydronic Radiators, Meridian Condensing Boiler, Duraflex Hydraulic Separator and Dosing pot. The pods provide a space saving, innovative way to provide trainees with access to modern first-class equipment, making sure they aquire the experience they need for best practise in the field. The following testimonial is a welcome acknowledgement of our contribution. 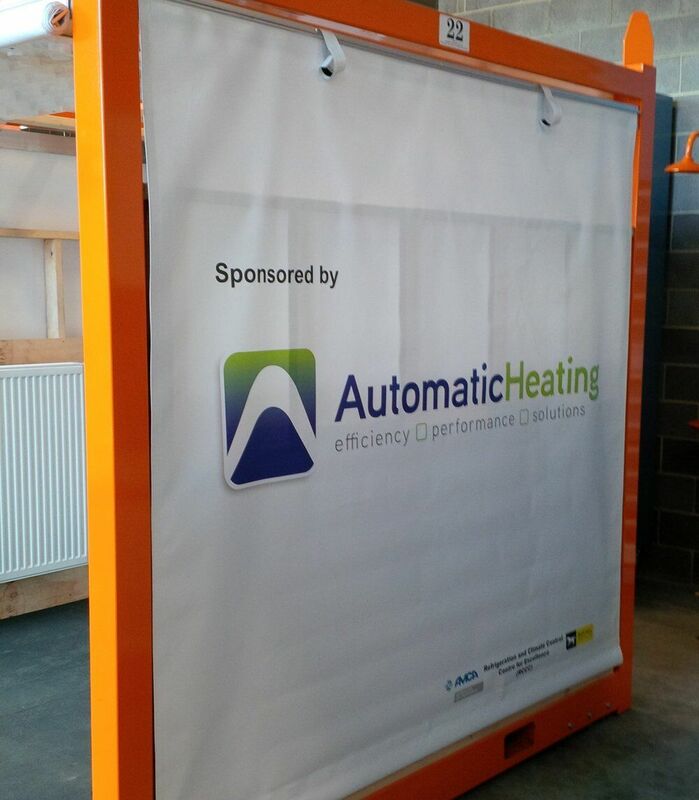 Please give me the opportunity to express my gratitude for Automatic Heating’s donation of equipment and time in the construction of a training Pod for use in the Refrigeration and Climate Control Centre of Excellence at Box Hill Institute. Your donation of equipment and industry expertise ensures that Victorian TAFE students and apprentices trained at Box Hill Institute will receive practical training and assessment on up to date equipment and current technology that will prepare them well for their continuing and future job roles. The training PODs in the Refrigeration and Climate Control Centre of Excellence are maintained and upgraded to reflect the latest technology and this flexibility means training and assessment using a POD stays current and continually relevant to industry. This is designed to provide excellent results to our students, their employers and the wider industry. Box Hill Institute is particularly happy to receive Automatic Heating’s contribution to the fit-out of a training POD because we view you as a leader in your field, well placed to participate in innovative training and assessment. I look forward to a continuing working relationship and once again thank you for your contribution thus far.